Bonne chance ! 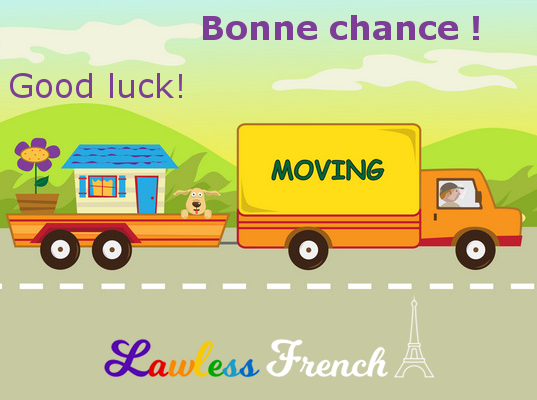 Lawless French Expression - Good luck! Usage notes: Bonne chance means "good luck" in the true sense of the words: it expresses your desire for someone else’s wish to come true, for them to experience the good fortune they’re hoping for. – Le déménageur vient de partir avec tout ce que je possède. – Bonne chance ! – The mover just left with everything I own. – Je joue au loto pour la première fois. – Bonne chance ! – I’m playing the lottery for the first time. Bonne chance indicates the presence of external factors, so you should only use it when talking about luck in the true sense of the word, when someone wants something to happen but has no control over whether it actually does. In comparison, when encouraging someone to do well at a difficult task, you should say bon courage instead.